Eric J. Aretsky is co-founder and managing partner of Aretsky Law Group, P.C. Highly regarded in the legal community, Mr. Aretsky is experienced in negotiation, litigation, and mediation. Eric Aretsky has decades of experience in divorce and family law. He understands how stressful the process of divorce can be and treats his clients with compassion, working with them from start to finish. Mr. Aretsky has a great deal of experience dealing with the special issues involved in high-asset divorce cases. He also has expertise representing fathers who want to maintain an important role in the lives of their children. Eric Aretsky is a highly respected New Jersey matrimonial attorney. A skilled legal advocate, he is highly regarded by New Jersey judges as well as by his fellow divorce attorneys. He guides his clients through the complex, often stressful, process of divorce. 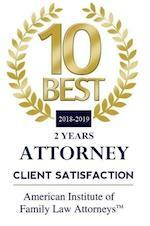 Mr. Aretsky represents clients in divorce and separation, child and spousal support, child custody and parenting issues, and equitable distribution. He is well qualified to handle the unique issues of high-asset divorce cases. Amongst his clients are bankers, doctors and other business executives. Eric Aretsky is a skilled negotiator and works diligently to negotiate a marital settlement that meets his clients needs and protects their rights. When necessary, he takes the case to court, where he fights vigorously to achieve favorable results. Mr. Aretsky is a Court Approved Divorce & Family Law Mediator, having completed the required 40 hour training program given by the Board on Continuing Legal Education. Mediation is a less contentious, more efficient way for divorcing couples to resolve the issues they face. Eric provides mediation services in the following counties: Bergen, Hudson, Morris, and Passaic. Mr. Aretsky is on the New Jersey Courts Roster of Mediators for Economic Aspects of Family Law Cases in Bergen County. This program was created to aid the parties in a divorce resolve difficult economic matters. As a Mediator for Economic Aspects of Family Law, Mr. Aretsky assists New Jersey couples to resolve the economic issues involved in their divorce case. As a father who raised his son in a shared custody arrangement with his ex-wife, Eric Aretsky has a profound awareness of the needs of other fathers who strive to maintain the fullest possible relationship with their children. He fights vigorously to obtain favorable outcomes regarding child custody and parenting-time arrangements for his clients. Mr. Aretsky assists his clients in getting their convictions and arrests expunged from their records when eligible according to recent New Jersey law. injuries caused by faulty products. 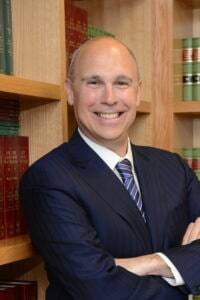 Eric Aretsky earned his Bachelor of Arts degree from Fordham University in the Bronx, New York, in 1987 and his Juris Doctorate form New York Law School in New York in 1990. Upon earning his law degree, Eric clerked for the Honorable Conrad W, Krafte, Superior Court of New Jersey, Family Part, Bergen County. In 1991 Eric co-founded the Aretsky Law Group, P.C., and has served as managing partner of the firm since then. Eric is a member of the New Jersey Bar Association and the Bergen County Bar Association. He is also admitted to practice in the United States Supreme Court. In recognition of his accomplishments as a New Jersey divorce lawyer, Mr. Aretsky was featured in (201) Magazine. Mr. Aretsky is a compassionate, yet aggressive litigator, well respected by others in the legal profession. A dedicated family man himself, Mr. Aretsky is committed to helping his clients and their families through tough times and legal crises. Eric Aretsky resides in Franklin Lakes, New Jersey. As a father who raised his son in a 50-50 joint-custody arrangement, he has a deep, personal understanding of what other fathers are going through when facing the child custody and parenting issues of divorce. Member of the New Jersey Association for Justice, an organization devoted to protecting the legal rights of New Jersey citizens.